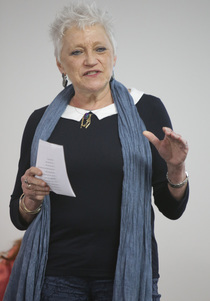 Jennie Buckman founded Standing on the Shoulders of Giants Theatre Company in 2008 after leaving the Royal Academy of Dramatic Art (RADA) where she had taught acting for over 20 years, latterly as the Head of Acting. She has also worked at the National Theatre, RSC, Guildhall School of Speech and Drama, and many other drama schools. Jennie developed Giants method of working whilst a director with Common Stock Theatre in the 1980’s. Jennie is also an established playwright. 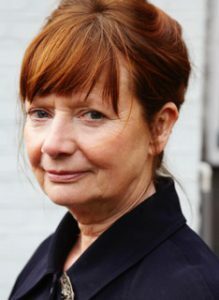 She has written for theatre, TV, RADA, and has had many plays produced by BBC Radio 4 as well as countless episodes of Westway for BBC World Service. In 2016 Jennie wrote and produced Never going to Beat You, a play about domestic violence created in collaboration with The Traveller Movement. Following it’s successful run at The Blue Elephant Theatre, NGTBY is currently in filming for educational distribution across the Gypsy Roman Traveller communities. 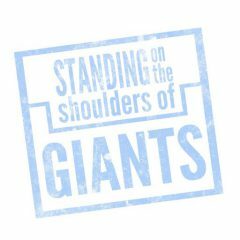 Other writing for Giants includes Pandora, SNAFU (updated to FUBAR in 2016) and Piece of Silk, and Flaming Damp a bespoke training package with Lambeth Living. Jennie is currently putting the final touches to Lilith which will go in to production in 2019 alongside Sabrina Mahfouz’s new writing project Kapa-oke. Jennie’s own project Deptford Wives, which was produced as a BBC radio play in 2006 is currently being produced as a stage musical at East 15, with a film version also in development. Holly is an actor, voice-over artist and Workshop Facilitator. She graduated from the Academy Drama School in 2005 and is represented by Billboard Personal Management. 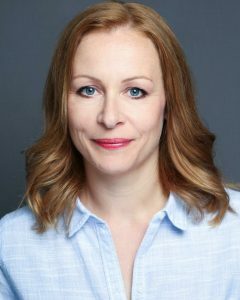 She has worked extensively in theatre, most recently for the Leatherhead and Swanage Rep Theatre Company, who are bringing back professional weekly rep to the regions after twenty-five years. Other recent credits include Burkas and Bacon Butties (Tara Finney Productions), Libby’s Eyes (Poke-In-The-Eye Productions) and Anti-Matter (Cast iron Pictures). Holly has worked as role-player and training workshop facilitator for a wide range of organisations including the NHS Blood Donation service, The Department for Health and Social Services, Zoetis Animal Health, KPMG, and The Met Police. She also runs Teacheract drama workshops for children. 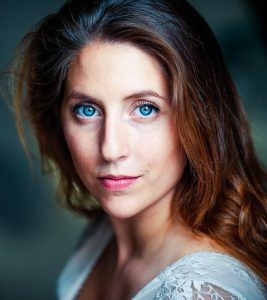 Tania Azevedo is a theatre maker and graduate of Mountview Academy of Theatre Arts and the King’s Head Theatre. She’s currently the Artistic Director of award-winning Play Pen Productions, which recently produced LaChiusa’s Hello Again at the Hope Theatre and Associate Director for Standing on the Shoulders of Giants for whom she recently directed Piece of Silk. Recent directing credits include Plots (TRSE and Citizens Theatre), Paper Hearts (Underbelly, Fringe Festival), Piece of Silk (The Hope Theatre), The Bearded Lady’s Tattoo Parlour (Union Theatre), The Signalman (VAULT Fest), Hello Again (Hope Theatre), Transported (Rich Mix), Trivialis (The Place), Second Skin (Theatre503). Sabrina Mahfouz is a British Egyptian poet, playwright, performer and writer from South London UK. Her first play, That Boy won a Westminster Prize for New Playwrights and was performed at The Bush Theatre, 2010. Dry Ice, 2011, – directed by David Schwimmer – was nominated for The Stage Award for Best Solo Performance. It played at Edinburgh Festival, before transferring to The Bush Theatre, and Contact Theatre, Manchester. In 2013 her play Clean transferred from Traverse Theatre, Edinburgh, to 59e59 Theatre, New York. Mahfouz was awarded a Sky Academy Arts Scholarship in 2013, allowing her to produce new poetry work which was collected in a book The Clean Collection, published by Bloomsbury. The scholarship also enabled her to produce and write a new theatre show called Chef which played Edinburgh Festival in 2014 and transferred to Soho Theatre in June 2015. Chef won a Fringe First Award, and the solo performer, Jade Anouka, received The Stage Award for Acting Excellence. In 2014, her play about free speech in Egypt was commissioned by and performed at The National Theatre by young people for the annual National Theatre Connections Festival. Mahfouz has been a Playwright in Residence at the Bush Theatre; Poet in Residence at Cape Farewell, a Writer at Liberty for Liberty UK and a Global Shaper with the World Economic Forum. 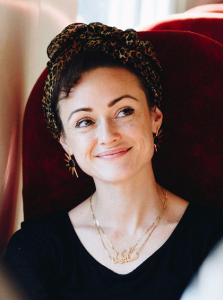 In 2016 Sabrina Mahfouz had a short TV drama piece called Breaking the Code produced by BBC3, BBC Taster and BBC Drama and the following plays written by her were produced in the UK and internationally: With a Little Bit of Luck (Paines Plough); SLUG (nabokov); the love i feel is red (Tobacco Factory Theatre); Caldarium (Theatre Uncut/Teater Grob); SLoW (KVS Brussels); Layla’s Room (Theatre Centre) and Battleface (Bush Theatre). Please see PRODUCTIONS for news of Sabrina’s collaboration with us. Birgitte Nystrøm is an actor, writer and director. She was born in Greenland and grew up there and in Denmark. She trained as an actor at Statens Teaterskole, The Danish National School of Theatre. Birgitte has worked extensively in Danish theatre, radio and television, including writing and performing her own work at the Danish National Radio, Husets Teater, Park Cafe Theatre and Comediehuset at The Royal Theatre in Copenhagen. Her work includes five years as an Actor in Residence and Board Member at Copenhagen’s Cafeteatret, and twelve years as a member of Turnus Theatre Company. Her written and directorial work includes long-running video work in in collaboration with Sprogcentre IA (Copenhagen) and directorial work at the Young Vic (London) She also recently starred in the award winning video work Dog (Marianna Simnett). Birgitte is currently focussing on adapting classical theatre and bringing together established elements and innovation. She is currently developing a touring version of King Lear, and working on a production of A Midsummer Night’s Dream in collaboration with The National Theatre of Greenland and their associated Drama school. Birgitte lives in London and is a Member of the British Actors’ Equity Association, Dansk Skuespillerforbund (The Danish Actors’ Association) Skuespillerforeningen af 1879 (The Actors’ Association of 1879). 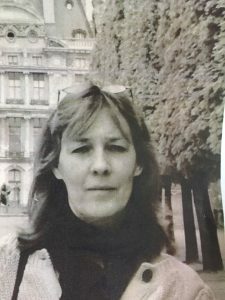 Helen Strange (BA.M.Phil.PGCE.ADVS) was Head of Classical Text, Director, Senior Voice and Acting Tutor at RADA from 1986 to 2013. She has worked at most of the major drama schools in this country and in universities across the UK, France and the USA. She has run masterclasses in England, Japan, Canada and the USA in schools, universities, drama schools and theatres. Her professional work as a voice and text coach includes engagements with the Royal National Theatre; the Royal Court and the Royal Exchange in England, and the Joko Theatre in Japan, The Actors Theatre in USA, the Banff Arts Theatre in Canada, and many small scale theatre and dance companies in Britain and France. Helen trained at L’Ecole Jacques Lecoq and The Royal Central School of Speech and Drama. Helen was a founding member of the first professional resident theatre company in Buckinghamshire in the 1980’s. She went on to run various youth theatres in London, Dubai and Cambridge and is committed to drama in education, theatre for young people, and making the arts accessible to all.